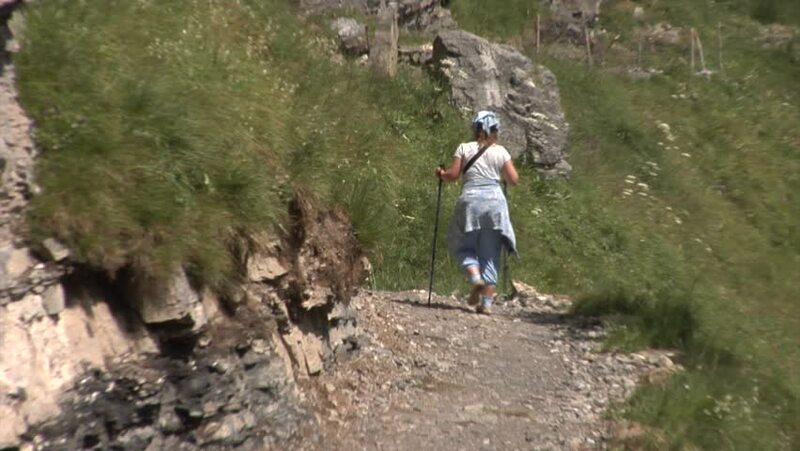 Swiss Alps - woman walking on the mountain trail. Hiker climbing up the mountain trail. 4k00:09Porters with the heavy backpacks on the Manaslu mountain circuit trek in Nepal.